Dental Bridges are a very popular choice for tooth replacement because of the many advantages. 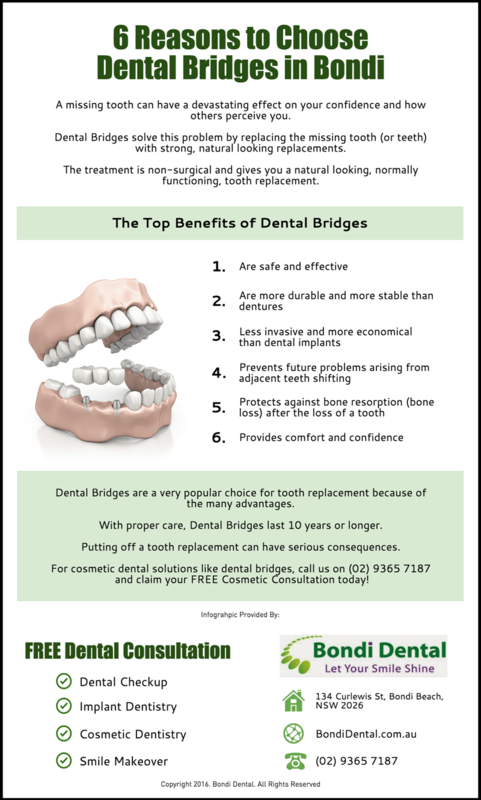 With proper care, Dental Bridges last 10 years or longer. Putting off a tooth replacement can have serious consequences. For cosmetic dental solutions like dental bridges, call us on (02) 9365 7187 or visit us here at 134 Curlewis St, Bondi Beach and claim your FREE Cosmetic Consultation today!